If you’ve been living under a rock this past decade you may ask “what is a Manny?” A Manny is simply a shortened combination of the words ‘Male Nanny’ or ‘Man Nanny’. But what is a Manny really and why are we hearing so much about them; are there many families now asking for a Manny? Need a Manny or Nanny? Register for Free and we'll find your perfect Nanny candidate! A manny is just a ‘male nanny’. Whilst it may appear that this means we have now reached full gender equality in our society; people recognising that men can do the work of a nanny just as well as females – the fact that we even have this term, also means, sadly, that this is not the case. However, we will not detract from the good progress made and we will celebrate that there are increasing numbers of men being employed as nannies, and successfully so! Why do families ask for a Manny? Many of our families do not in fact ask for a Manny, they simply register for a ‘Nanny’ and expect us as their experienced nanny agency to find them the best and most suitable nanny; Gender not being an issue. Many of our families will also go out of their way to state that they are looking for a nanny or manny. This is of course helpful to us to understand exactly their expectations. Do families ask exclusively for a Manny? Our families often have an idea of what they are looking for in a nanny and that may include gender. Some families are still really only comfortable with what they understand to be a ‘traditional nanny’- female; other families are open to male or female, they simply want the best candidate that Kinder Nanny Agency can find them who matches all their requirements. A small but increasing percentage of families prefer to employ manny for the aspects for which they perceive a male nanny may suit their family better. • feel a male nanny might have a better bond with their children, with consequent desirable impact on matters of discipline and respect. • have male children who are interested in predominantly male sports and feel a male may understand and nurture this interest better. where father is absent or deceased and family wishes to introduce an older male role model into their lives. 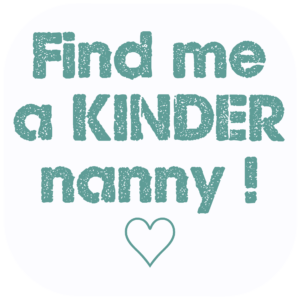 The Mannies, or male nannies we have at Kinder Nannies are very strong nanny candidates. They have a lot of experience, have often stayed with their employer families for a longer time than other nanny candidates. They often have qualifications such as degrees in childcare, teaching or early years. As an agency we promote complete equality. We are very positive about males, as with females. We prefer to work on the basis of the most suitable and best nanny candidate for the job. However, we work in a highly bespoke fashion and will always put our clients needs first. How much do Mannies earn? A Manny's salary will be based on his experience, qualifications and skills and on the specifications of the job; as it would with every other nanny. Looking to Employ a Nanny or Manny? Send us your requirements and we'll send you the Nannies or Mannies! 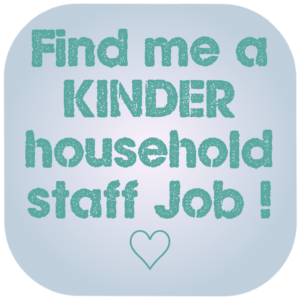 Are you a Nanny or Manny Looking for a Nanny Job? 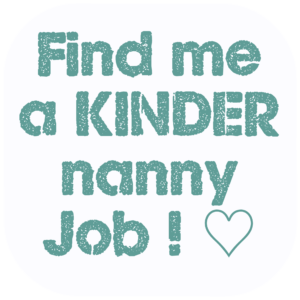 Check out our jobs page or register your details with us so that we can send you suitably matching Nanny Jobs!